We arrived just ahead of Hurricane Lane and got to enjoy the late afternoon by the pool by the marina by the lagoon by the beach. I took photos as proof because the next two days were category 5 downgrading to tropical storm. All shops and tourist attractions with the exception of the odd business were closed. We stayed in #1721, beautiful balony with a perfect view of the street. Very easy key less entry, room was very clean and the bed was super comfy. They also had a fan in the room if needed. The pool was very clean and everyone was so friendly. We had several restaurants and shopping areas within walking distance. The condo kitchen has everything you need. Highly recommend the room we stayed in. Aloha! Fabulous property - clean, spacious, great location... I will definitely tell my friends! Ilikai 1721 -- Great Condo!! Awesome, well appointed condo Ina terrific location. It was perfect for us. Thanks for such a nice stay. Can't wait to go back! Great location! beach chairs, boogie boards and umbrellas were definitely a nice surprise. It is the last four days of my Hawaiian trip. It was very clean and the amenities were fully equipped. The Ala Moana Center walked every day, and the pink line was able to ride right in front of you. The lagoon was also available ... Finally, the children were the best of the accommodations I had during my Hawaiian trip. 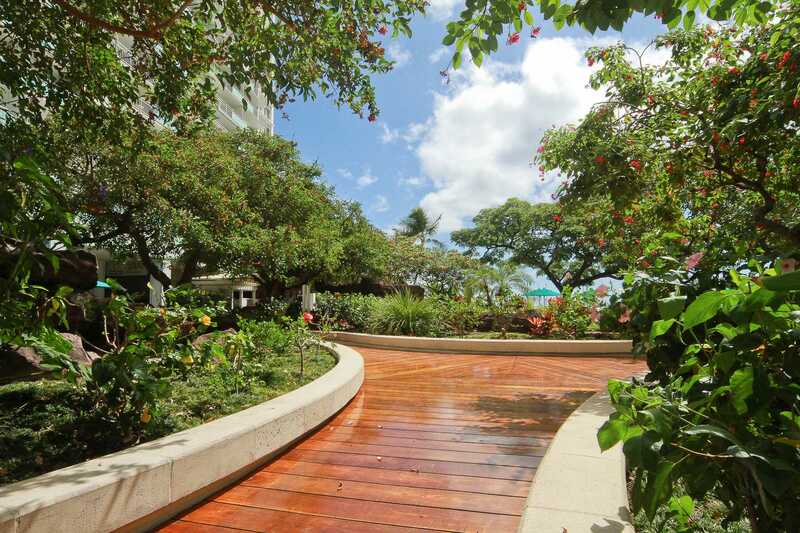 Great location in Waikiki! Newly updated! Clean! Relatively great value. Thanks for an unforgettable stay! This place was nice with a great city view. The room itself was just perfect for me and my husband. I will def come back and stay here again. My wife and I found this unit to be perfect for us. We had a bit of trouble figuring out the A/C but worked well once we did that. The condo had everything that we needed and was clean and well kept. There was even three boogie boards and three beach chairs. The only complaint we have was the noise of the traffic. We soon learned to keep the A/C running at night to drown out the noise. We would definitely stay at this property again. Clean and easy to check in. The room is nice and clean. The bed is big and comfortable with extra sheets for changing. My 2yo slept on the sofa bed. This room is big enough for family. Basic kitchen equipments are provided (but no scissors) and brooms, vacuum for cleaning the room in case it get dirty. Beach chairs, ice box, children sand castle toys, umbrella, etc are provided too. Pool passes can be found on the table. Lagoon and beach is nearby. 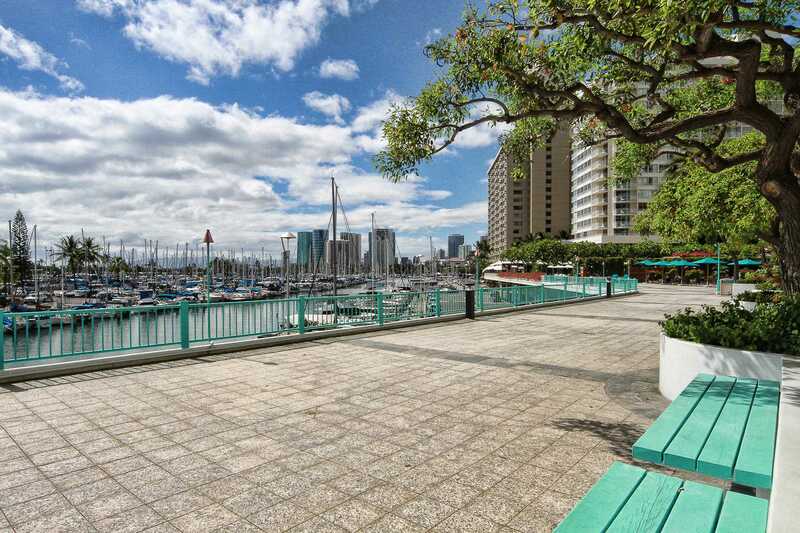 Ala moana center is within walking distance. Will book with them again. Thank you. Location and apartment are very nice. I surely recommend it! Had a very nice four day stay, and found the Ilikai to be the perfect location. Close to everything we needed, but far enough away from the noise and crowds. The room was clean, and well stocked. I would definitely return and stay here again. Great location, great condo. No complaints. As described. Many thanks! There is a coin op laundry room down the hall, if needed, and a very well stocked store in the lobby. I would recommend this room in a heartbeat, and would definitely stay here again! Great Location, very clean and we enjoy our stay a lot. Thanks!! We had a nice time staying at this apartment. Would stay again. Thank you for be accurate about the space and keeping it so clean. It was great as just same i could see. Included almost everything that u need. 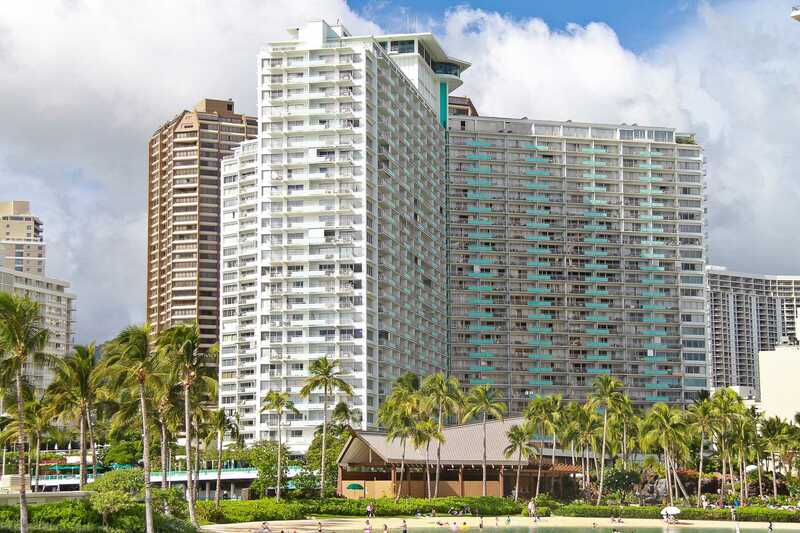 Just besides Hilton village and 10 minutes walking distance from Ala moana shopping center. If u prefer busy shop streets, waikiki will be better. But if u prefer less busy place, this will be the best place to stay. Highly recommend. Spaciuos; all appliances, great city view, very confortable, very very well equiped; a place to come back over and over. This was our second stay at the Ilikai. We loved the condo and the location of the hotel is great. Easy access to anything you might want to do on the island. The room was clean and nicely equipped with everything we needed. Public transportation is right outside the hotel and very easy to get around. We visited several of the other beaches. We will definitely be back for another stay! Awesome accommodation and great to deal with. We enjoyed 3 weeks in this condo, great ocean and Lagoon Views, and Fireworks on Friday night. Hilton Luau from Sunday thru to Thursday evening to watch from Lanai also.Tidy bathroom but needs extra towel rails, comfortable bed ( very large) good TV.Being used to eating in mainly, we found the kitchen to be a bit small and lacking in cupboard space for groceries items, and not as well stocked as we have found in some other condos, no dishwasher so hand washing is the regime LOL. 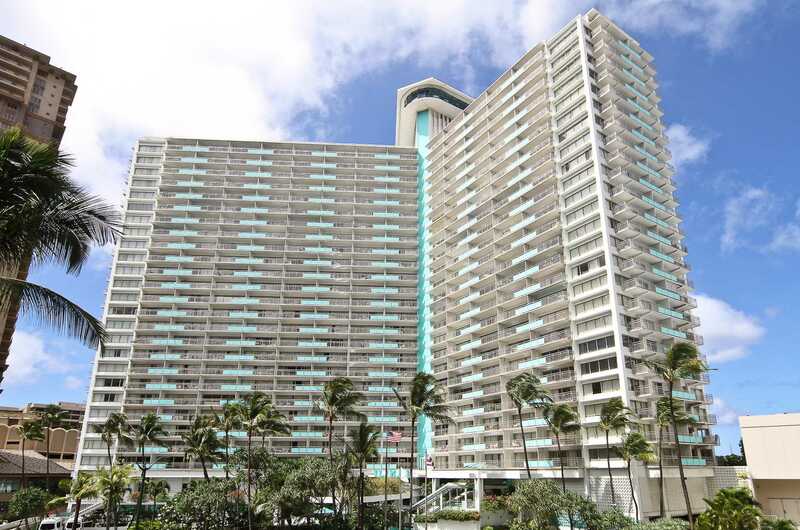 Generally the Condo is modern, tidy & adequate for our needs, we enjoyed the Lanai for meals etc and ever changing views. 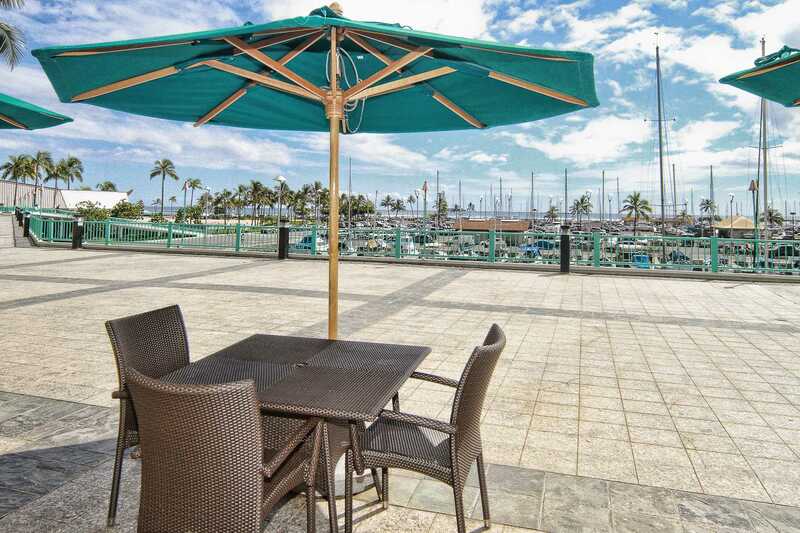 The Ilikai is in an excellent location, away from a lot of the Waikiki crowds, handy to good shopping, a great selection of restaurants, in house ABC store and other ABC stores close by. Easy walk to the pool, lagoon or beach for all your water needs.Hawaii Vacation Property Manager Kat is excellant with communication and addressing any problems should they arise. Highly recommend. Everything was at home (for swimming, surf, kids, etc.). Great location and clean. Clean condo at a convenient location! My partner and I stayed at this condo in June for about a week. It was our first time in Honolulu and we were pleased with our stay! The condo was clean and comfortable for 2 people. The keyless access was a big plus as we did not have to worry about losing or damaging the key while we were out and about, playing in the water. We appreciated the location - we were not in the thick of busy Waikiki but the condo was close enough for us to take a nice stroll most nights to Waikiki for dinner and dessert. The bus stops are also located right in front of Ilikai (both directions), and it was convenient for us to transit to downtown, Diamond Head, airport, etc. There is also a plaza with car rental shops right across the street so it was very easy for us to plan our trips to the North Shore and farther beaches like Kailua and Lanikai. We intentionally chose a place with a kitchen and cookware, and it was nice to be able to dine in. The air conditioner and fan also made out stay more comfortable. We did not use the swimming pool, as we preferred the ocean but it was good to know we had the option if we ever wanted to. The only down sides were no parking (we rented a car for few days and parking was expensive) and lint on towels (couldn't figure out why but something about the towels left our skin with lint every time we used it!) Overall, we enjoyed our stay and would come back. Great, clean, comfortable place and a good, convenient location. Very easy check-in/out process. I would have liked a friendlier welcome on arrival with my bags...not that it was bad. it's just that there wasn't any welcome at all. The room was perfect. It was clean and tasteful. The shower and the air conditioner worked beautifully. 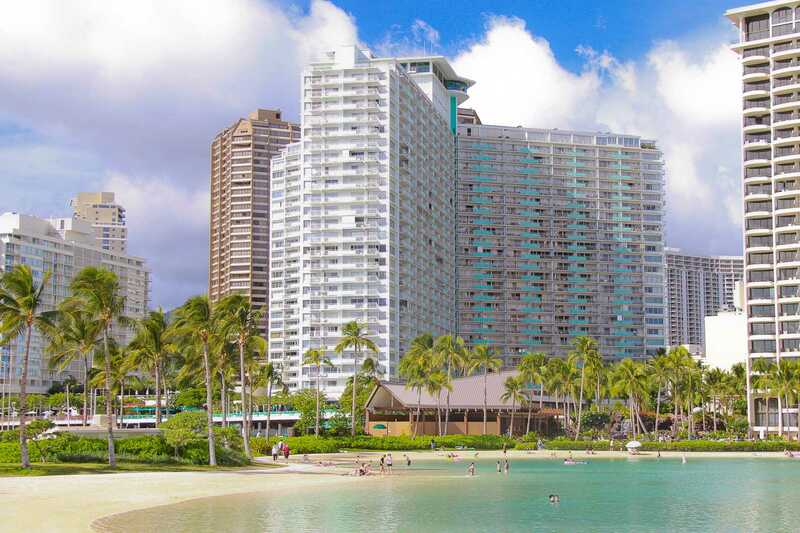 The hotel is also perfectly located at one end of Waikiki, thankfully not in the thick of Waikiki, and is a pleasant 10-20 minute stroll to everything a tourist needs. we stayed at 1721 , overall it was good, place was clean and had just enough to get by. good things that were bedding , sofa, tv , dishes , beach chairs and wi fi are in good order. things that need improvements are some pots were too old, broken handle, just barely enough dish washer liquid tablets, very thin trash bags and not enough bags to last a week, AC unit is old and screen kept falling off, definitely need some repair on the air-conditioner. Also laundry was occupied being used a lot, so had to check couple of times to get a chance to use it, also need lots of quarters, $2.50 per cycle, no change machine. Also bring shampoo and etc. no toiletry in the bathroom. But all in all for the clean place, we enjoyed the stay. We do not supply consumables other than the starter bath set for your first night. The AC is 14 Mos old and professionally serviced on a schedule. We do not operate the laundry rooms but as mentioned there are laundry rooms in all 25 floors. Many of the Owners housekeepers are running laundry at check out time (11 AM) so it does get busy mid-day. We stayed for a week in December. Condo had everything we could need. Very comfortable bed with plenty of pillows and blankets. Kitchen has everything you need to cook and eat. Whole condo is updated with a very nice bathroom. This unit only has a shower (which didn't affect me). Check in and check out was very easy, and after an 11 hour flight was very.nice to bypass any lines and go straight to the room. We used the Marina parking which was $20 Aday, only downfall is you have to walk a block to and from the parking garage (didn't bother us). Great location and close to everything! Overall this is a great unit and was more than enough room for my husband and I. Condo is just as advertised. Will definatley be returning! Area was great. 5 min walk to Ala Moana center ... which was perfect for shop-lovers like us! It was a 10 min car drive to Waikiki downtown, we went there almost all days with our rental car! Inside was great too ... nice and spacey, sufficient amount of towels, nice kitchen with lots of utensils. Sofa bed was a little hard but the normal bed was comfy! Parking is for 20 a day, was a little bit difficult to find at first but other than that, no complaints. Finally, we enjoyed the stay very much; we felt at home and we enjoyed many laughters and meals around the condo! This apartment it great, it has all the things that we needed during our stay all in a modern apartment. Would definitely stay again. I've stayed in a few of the other condo's at the Ilikai & this one has been the best so far. 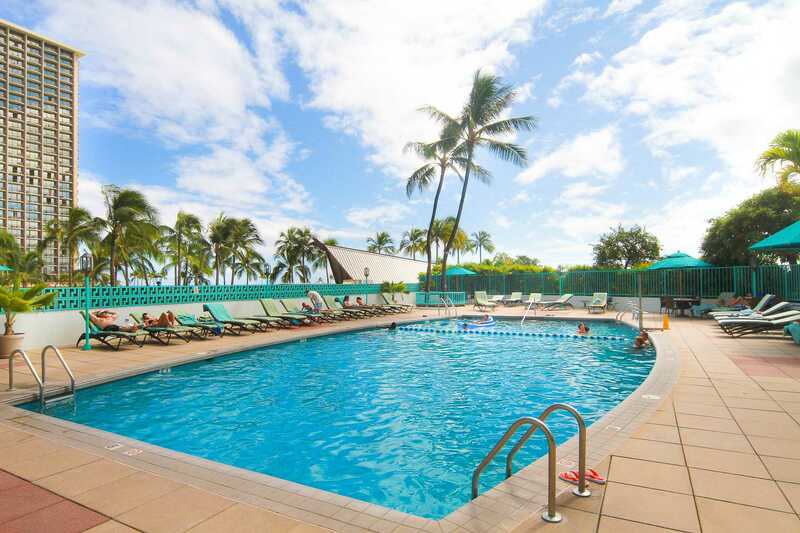 We loved our stay at the 1721 Ilikai Hotel & Suites! We were a group of 1 couple and 1 adult and the couch made into a comfy bed for the additional guest. The place was very clean, centrally located, and easy to get around. Thanks! Easy booking, exellent support, incredible views and location. Would recommend this place to anyone that is in town either for business or vacation. The kitchen was fantastically equipped! very clean and comfortable living space. We were extremely happy with our suite, nice city view. It was clean, there was a kitchenette and stove! The kitchenette have all utensils and such. Great to have other things like a cooler, fins for snorkeling, no mask or snorkel though. There were tanning chairs, but one of them was old and unusable. I left a new beach umbrella for those who needed one. Cable and wifi were excellent and could facetime people with no interruptions. They were nice to give us pool passes. Elevators were super busy on the weekend. Plenty of bath towels and they provided small beach towels. Buy your own beach towels if you like bigger ones. This hotel was a bit far from waikiki central beach, so plan on walking a bit far if you like that area or catch the bus, a lot easier. Car rentals are really close, we rented from enterprise, so book ahead. Close to the mall and walmart. All in all, what a beautiful week we had in paradise, Mahalo! What a perfect place to stay. Great view & great location! The condo was clean & cozy. Perfect for my husband and I. We would definitely stay here again! Our first trip to Hawaii and my husband and I stayed at the Ilikai for 6 days. 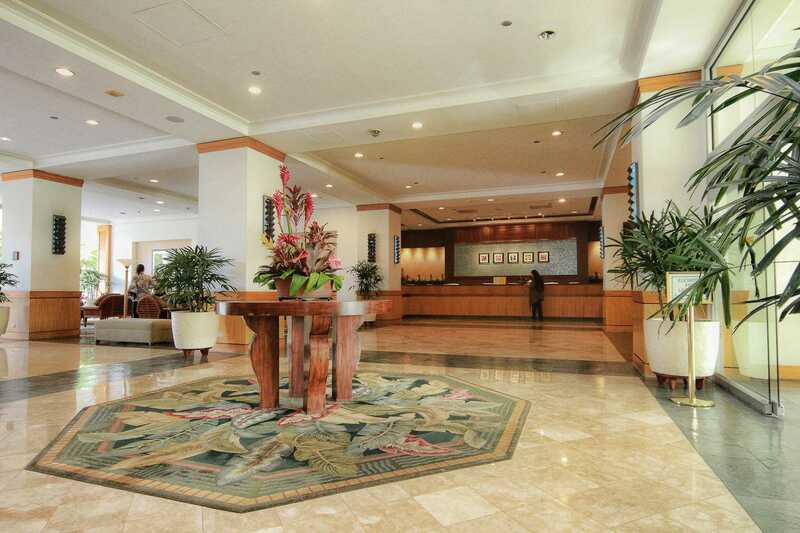 When we first arrived at the Ilikai we were impressed by how nice the lobby was and the friendly staff. Loved the self check in it was so convenient. Plus Our condo was more spacious than we thought it would be and it felt very cozy. Even though we did not have an ocean view the city view was very nice. 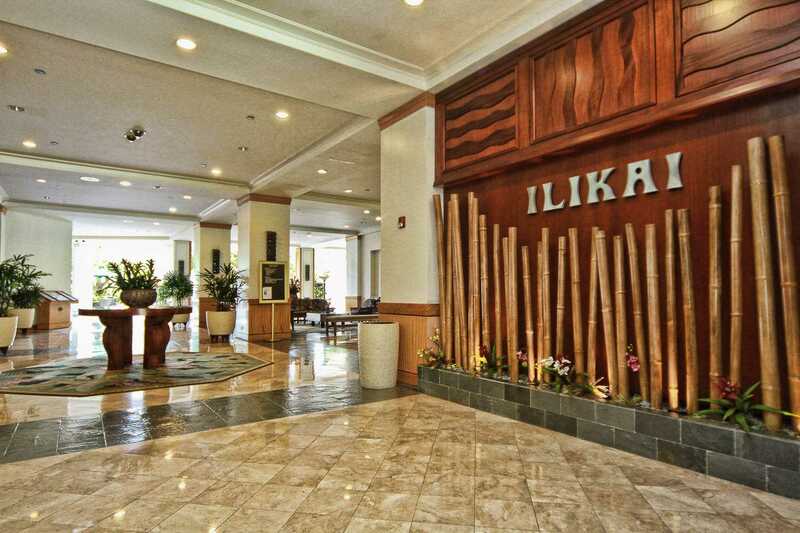 We are planning to come back again and stay at the Ilikai! I have already started telling everyone about this place. Thank you again for making it a good experience. I absolutely had the best time staying at this hotel and in this condo. The condo had everything I needed and more!! The bed was a bit too firm for my liking, but it was a king size so that was great. Plenty of closet space as well as a chest of drawers, desk, sofa and a full kitchen. The shower pressure was not great so I just took a plastic container in with me to get the shampoo out! I loved that the condo had free wi-fi and free calls to mainland USA and to the other islands. As I was travelling from Australia, this was great for me to touch base with so many family and friends in the States. Plus I loved the keyless entry. I will definitely stay here if I ever go back to Hawaii!! Response: Thanks for the shower feedback. We have addressed this item. We look forward to offering a Return Guest Deal! Wonderful, my only complaint was I was unable to stay longer as I was there for only a few days. The condo was well equipped with amenities that I didn't get to utilize. I was able to relax and enjoy the view on the Lanai and take advantage of the surrounding restaurants. I don't cook but the kitchen has much to offer if you do. The beach is a short stroll away and beach chairs etc. are available which I didn't have a chance to use so next time, I will definitely will have to stay longer next time. Mahalo. It was clean. Good location. Tour bus makes it the first stop. A few pieces of non essential furnishing can be taken away to give it a more roomy feel. The furnishing can be upgraded. But overall it was clean and comfortable, I enjoyed my stay. The beach chairs, umbrella and the beach towels were a nice bonus that we took to the beach everyday. Also they had a small travel cooler that we used all the time ( bring small ice packs ). I did not give this unit a 5 star because its not a 5 star accommodation. But everything that you need is available along with a comfortable bed. The shower head needs to be changed but its not a big deal. Wifi occasionally loses connectivity but we had four wireless phones and tablets connected. The TV had a SD card reader which was nice. Side bed lighting was not enough to read a book in bed, but that was not an issue for us. Overall, we enjoyed our time in Hawaii and our stay at this unit. It was exactly what we wanted without paying too much. We plan to return to Hawaii and will be staying at 1721 again. Nice place with a nice view of the Ala Moana/Waikiki area. Everything was clean and in order, no major problems. A few things could have been better: the fan above the bed didn't work and had no light, so the lighting was a little low for reading, also the kitchen only had salt & pepper (normally this is just fine, you bring the rest, but the 2 other condos we had stayed at on Hawaii & Maui, had olive oil, BBQ sauce, Mayo, etc., so we thought they were all like that). Otherwise, it was just fine. Wifi was much appreciated as well. Shower was clean and keyless entry is nice (no key to bring with you (at the beach!). We stayed at this condo for 10 days and we had no issues during our stay. There was lots of information and contact numbers if there were any problems available in the room. Its not a huge place but how much time do you really spend in your room while in a place like Hawaii! We woke up almost everyday to a rainbow we could see from the balcony. Overall it was an enjoyable stay and the room was exactly what was represented in the photos.